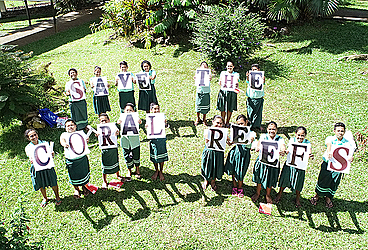 The Secretariat of the Pacific Regional Environment Programme’s (S.P.R.E.P.) Open Day on Monday promoted the 2018 International Year of the Reef to school students. Held at their headquarters, Vaivase Primary School, Vailima Primary School, Tanugamanono Primary School and L.D.S. Church Middle School Pesega and Papauta Girls High School were the five schools that participated. There were about 20 students from each school except for Vailima Primary, which had 40 students attending. One of the stations toured by the students is the islands and oceans ecosystems, which students were required to participate in painting a mural of the Pacific Islands with the ocean and sea creatures, especially with coral reefs within. “The map is to basically showcase how big the Pacific and also to show all these countries that coral reefs exist. The kids will basically paint the animals in the region, how diverse it is and how coral reefs are a big part of the region,” S.P.R.E.P.’s Coastal and Marine Management Specialist, Akiko Hamada-Ano said. “The idea of the mural itself is so the kids do a creative project but also understand how coral reefs are important,” she said. She also said that they plan to do country briefings for the region to have the status and trends of coral reefs in the Pacific so there is a better understanding of how corals are doing in the Pacific. “At the moment there is no regional status and trend of the reefs but there is going to be a report published at the end of the year,” she added. Students were also taught the importance of managing waste and controlling pollution. Solid Management Advisor from S.P.R.E.P. Ma Bella Guinto said: “This station focuses on managing waste and controlling pollution, so we talk more about sorting waste and its benefits. “Additionally, we are also talking about the global concern of plastics. “We tell the kids the repercussions of using too much plastic. It is most important for students to be aware of plastics and how it hurts marine life in reference to the plastics floating in the ocean where turtles get entangled or consumed as food. “After that we can actually process the organic waste into compost so we are also teaching them how to do some composting. “And with whatever cannot be processed as organic waste they are taken to the land fields. 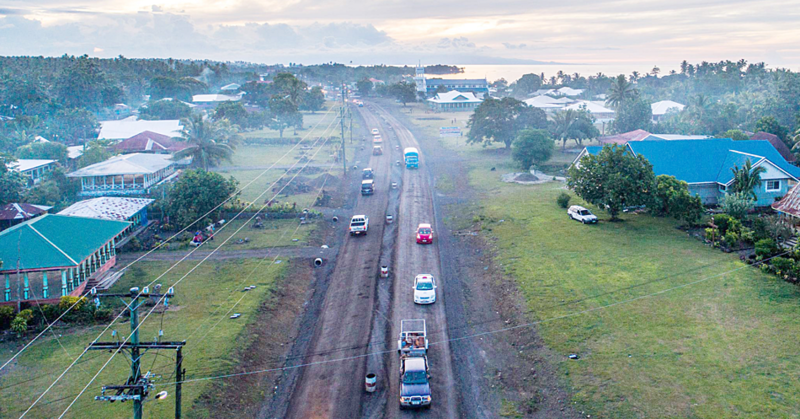 “Our colleague from Samoa waste is teaching them the repercussions of having waste at the landfill,” she said.